what characters do think they are? what music do u think fits them? what do u think? idk who can be Plankton if u know please tell me. 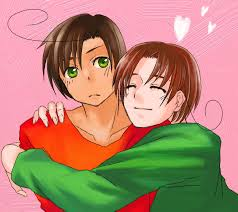 i think Italy as Spongebob and Squidward as Romano makes sense because Romano is always mad at everyone and Italy is always happy and singing songs :D good match right? ok i know who is Plankton now, i think Prussia O,O they both have red eyes and both have P in there names why not?